The films announced include looks at the alt-right in the age of Trump; an Israeli dad who wants to live as a woman; a Jewish-Christian romance in Ethiopia; the birth of Blue Note Records; and a little-known chapter of WWII resistance in the Warsaw Ghetto. The 2017 Atlanta Film Fest — the 41st — unreels 191 movies from 40 countries beginning Friday. 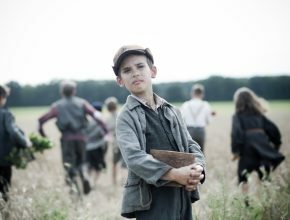 The largest Jewish movie event in the world opens Jan. 26 and will encompass eight venues. Tickets go on sale Jan. 10. 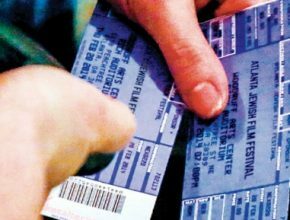 Atlanta hosts numerous film festivals throughout the year, but none conveys the sense of “event” as the Atlanta Jewish Film Festival, which drew 31,500 attendees in 2013 (about 25 percent of whom identify as non-Jewish). This year’s version begins Jan. 29. Attending a festival isn’t just seeing a film, it’s talking to the people who made it. Don’t just go to the screenings — go to the Q&As, the seminars, the parties and really soak in the festival. That’s the advice of Atlanta Film Festival Executive Director Chris Escobar. This year’s fest opens tonight. What began 12 years ago with 24 movies about Jewish life and 2,000 or so viewers is now Atlanta’s largest film festival and the second-largest Jewish film festival in the world. The Atlanta Jewish Film Festivals runs Jan. 30-Feb. 20.